Noted. | FineStationery.com: July Wallpaper Download from The Spotted Olive! 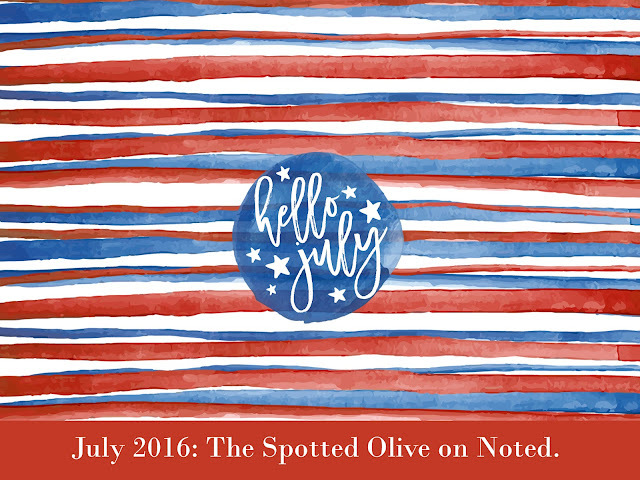 July Wallpaper Download from The Spotted Olive! 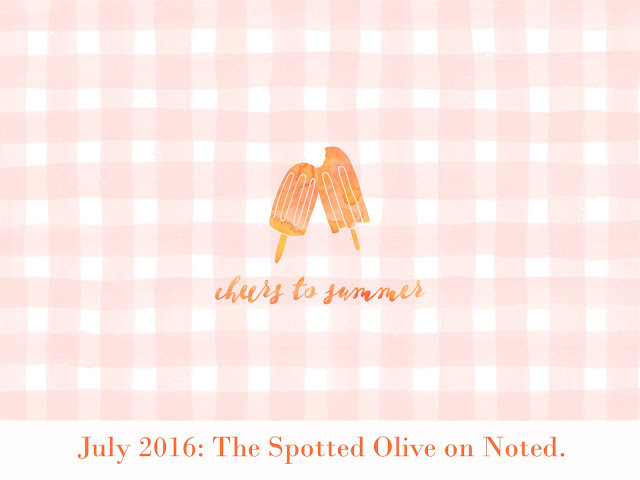 Dress up your desktop with fresh summer wallpapers from The Spotted Olive! We have two free downloads for a unique pop of summer color. The first download is festively patriotic while the second is adorably refreshing with gingham and Popsicles. Whichever you choose, these will be sure to bring the summer atmosphere to your desk. For an extra summer treat, save 15% off The Spotted Olive products all month long. No matter what celebration you're planning The Spotted Olive collection has an invitation to match. Use code SpottedOlive15 at checkout to receive the discount.